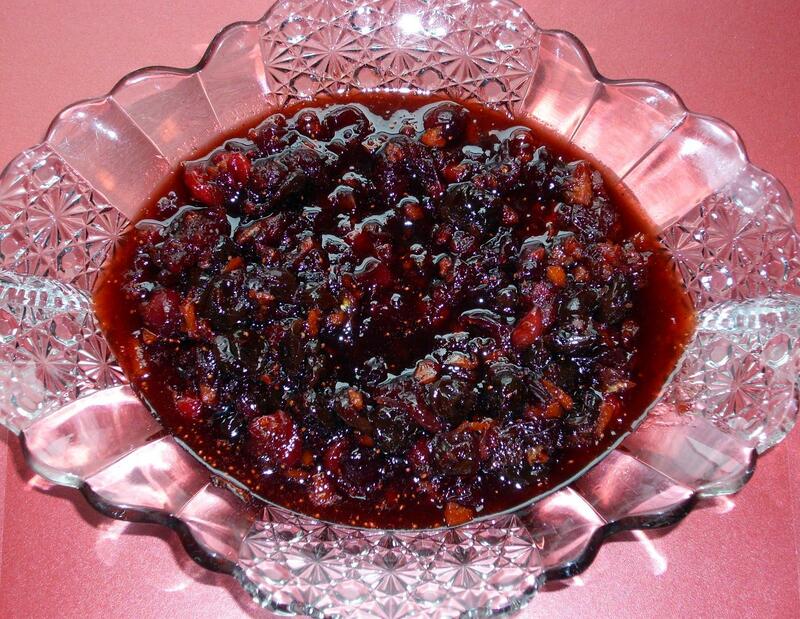 This entry was posted in Condiments, Cranberry, Easy, relish, Side Dishes and tagged cranberries, easy, Thanksgiving by Janet. Bookmark the permalink. Wow, all these really interesting twists on cranberry sauce keep popping up, and I don’t like cranberry sauce (or cranberry anything, really, didn’t grow up with them). Looks really cool, though! Raspberry vinegar and brandy…ooh, this is a good one. It will require one small container for me because I am sure it will bring out the piggishness in some. Have a wonderful holiday! Love all of the different flavors going on in this recipe. This sounds really good! Have a great Thanksgiving! I love that this is spiked! I think the flavours here sound amazing! Definitely not yo’ mama’s sauce, which makes it perfect. So many great flavors wrapped into one! Wow! This sounds and looks so good. Yum! Have a wonderful Thanksgiving. This would make for quite the happy thanksgiving! Considering our cranberry sauce was always the canned variety, this is definitely not my mother’s. I bet the brandy adds a nice kick! I made a very similar recipe last year (I think it was from Real Simple magazine) that had brandy in it. YUM, it was so perfect. Making it again this year. This sounds extra good with the cloves and nutmeg added! This sounds delicious I do mine with Amaretto, but Brandy does sound great too! Well drat! I just made my cranberry sauce today otherwise I’d be pulling out the brandy bottle and making this one. It looks fantastic. I never really thought of it, but I’m a lot like you in regards to fickle fowl love. I always love the one I’m with (though I eat the wing, not the tail). Um. This is the best cranberry sauce ever. That is all. It looks amazing! I’ve never spiked a cranberry sauce…but why not? I agree with Baking Serendipity – it’s amazing on sandwiches, too! I’m with you – what I’m eating is usually my current favorite! Mighty tasty! Cranberry sauce with a bit of booze is the best kind.